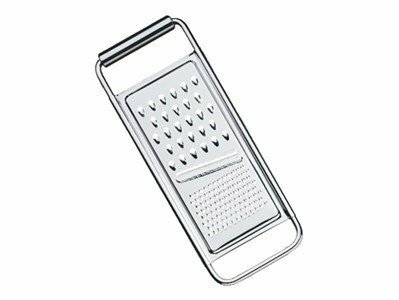 Universal grater in mate stainless steel with Cromargan® protection. 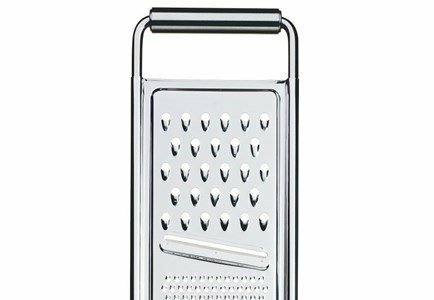 A high quality, solid grater made in Cromargan® stainless steel. A good kitchen grater preserves the natural aroma and nutritional value of foods, and WMF had all of this into account in the creation of this universal grater. Use it to grate different vegetables and cheeses, with a variety of cuts. To wash it, you can place it directly on the washing machine.